After school, he worked for a short time as an architect, then became a career soldier, serving with the Ox & Bucks Light Infantry, then the Grahamstown Militia. He spent 15 years as a planter in Nyasaland (now part of Malawi). He is buried in Dar-es-Salaam cemetery. He formerly held a commission as second lieutenant in the Militia battalion of the Oxford and Bucks L.I, and served in the South African War with the Grahamstown Town Guard 1901-2, and obtained the Queen’s Medal. For the last 15 years he had been planting cotton in Nyasaland, but on the outbreak of war he joined the force for East Africa. 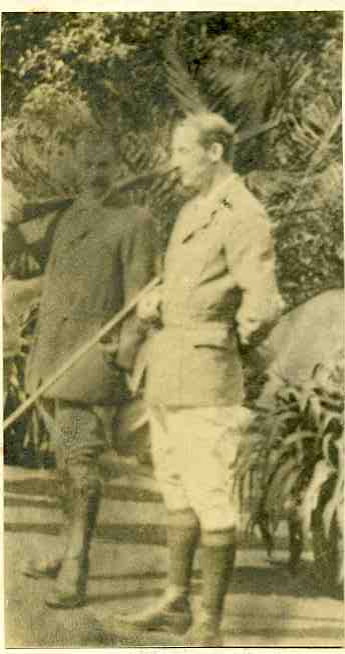 He received a commission as assistant transport officer, and had lately been recruiting carriers from among the natives. Posted in Commemorating the Fallen of WW1 and tagged 2nd South African War (Boer War), African Campaign, career serviceman, E Social, illness, Lieutenant on 27 May, 2017 by archives602.